In today’s hyper-fast, always-distracted world, figuring out where your head is at can be a challenge. 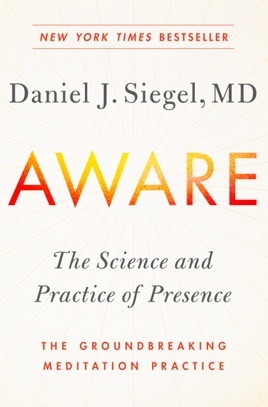 Psychotherapist and mindfulness guru Daniel J. Siegel’s deep-yet-accessible Aware uses patient testimonies, hard science, and charming illustrations to explore the mysteries of human consciousness. Siegel explains the mind’s workings through simple concepts like the Wheel of Awareness, which shows how even slight shifts in focus can have seismic effects. Aware’s matter-of-fact approach to helping people understand their brains will help lead even the most stressed-out soul closer to a place of well-being.